If you’re due to go to a Glasgow University this year, you might already be worried about what you’re going to do with all your things. After all, student accommodation is notoriously small, even in the more modern buildings, and it’s unlikely that you’ll get away with taking your entire CD and DVD collection, much less anything else! If you’re worried, get in contact with the GTW team today. 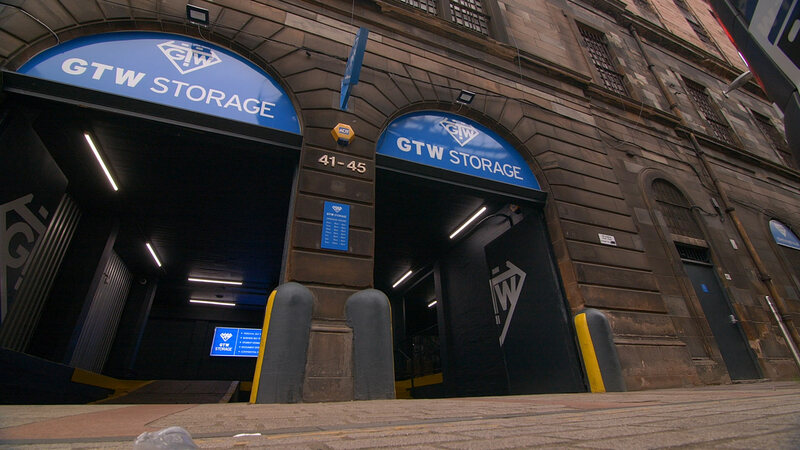 We’re a self-storage facility in the heart of Glasgow; but don’t let the title fool you, we don’t just cater for big businesses. Several of our smaller lockers and units are currently used by students just like you, who like to make the most of having the extra convenient space. When you’re at university, the last thing you need is your tent, skis or bicycle clogging up your valuable room space. However, you don’t want to get rid of them; who knows when the sun will next be shining and you’ll want to go camping for the weekend? Renting self-storage space solves this problem entirely. Move seasonal items into storage and access them whenever you need them. Sorted! Many universities make you move all your belongings out of your room when it’s the holidays; which can be a really stressful experience. It’s so much easier to simply move your stuff into a local self-storage unit than it is to have to get it all the way home! If you’re at Glasgow University, you’ll find GTW’s facilities perfectly positioned, as we’re actually within the city itself, which makes things really simple. If you’ve got valuable items, you won’t want to leave them lying around at university. Unfortunately, opportunistic theft is fairly common in university campuses; and it’s better to safeguard your belongings as best as possible. GTW takes security really seriously. You’ll get your own unit, which only you and other authorised personnel can access, and our premises are protected by a number of additional security measures. Don’t worry, you won’t be tied into a long contract. In fact, you can rent by the month, which means you can simply use the space for as long or as short a time as you want. You’re free to rent whatever size unit suits you, and you only pay for the space you need. We’re not only right in the centre of Glasgow, but we’re also easily reached by public transport; which is great if you haven’t got a car. However, if you do want to drive to us, we also have free parking on site. As a student, costs are inevitably going to be an issue. We know that every penny counts, and that you’d much rather spend the money on having a great time whilst you’re at uni! As a result, we’ve got a great special offer for students. Rent for one month, and get your second month completely free! To find out more about our great offer or to chat about your requirements further, simply get in touch on 0141 221 4727.